Bella Napoli is one of my favorite restaurants in Kansas City. 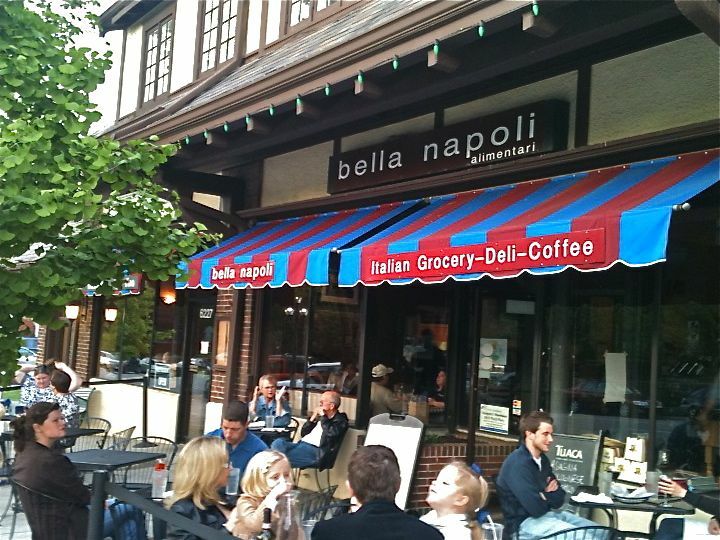 And, actually, Bella Napoli is actually the deli - La Cucina di Mamma is actually the name of the restaurant. (I just used actually 3 times in one sentence. Gross.) But The Stallion and I both refer to it as Bella Napoli. So, it's Bella Napoli. The fact that this is an Italian restaurant automatically gives it a boost in my affinity. 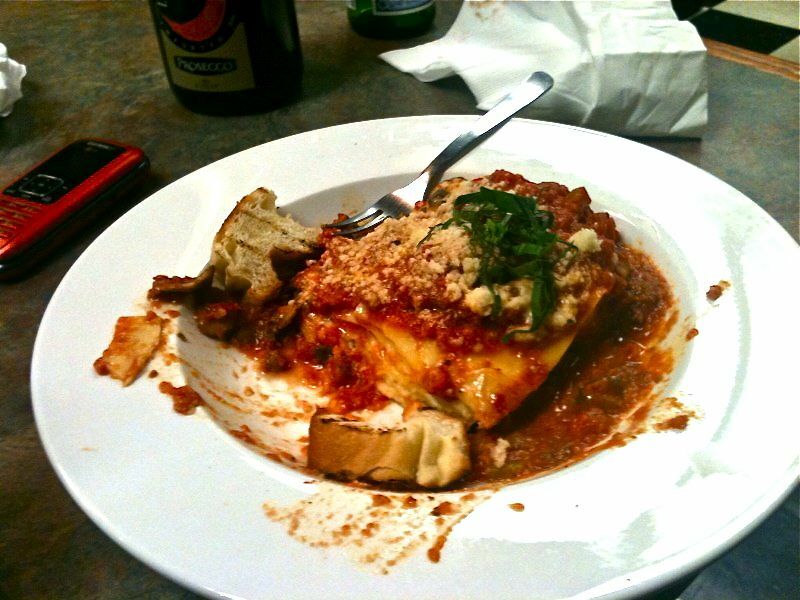 But it's phenomenal, authentic Italian, and that's why it's a 'Best of KC' pick for me. It's about as authentic as it gets. Jake Imperiale is the proprietor. He and Giorgio - both from Italy - keep bringing the best of Italy right to their Brookside storefront. The deli is a great place to go for lunch. If you're there, get the #1 spicy. Just trust me. 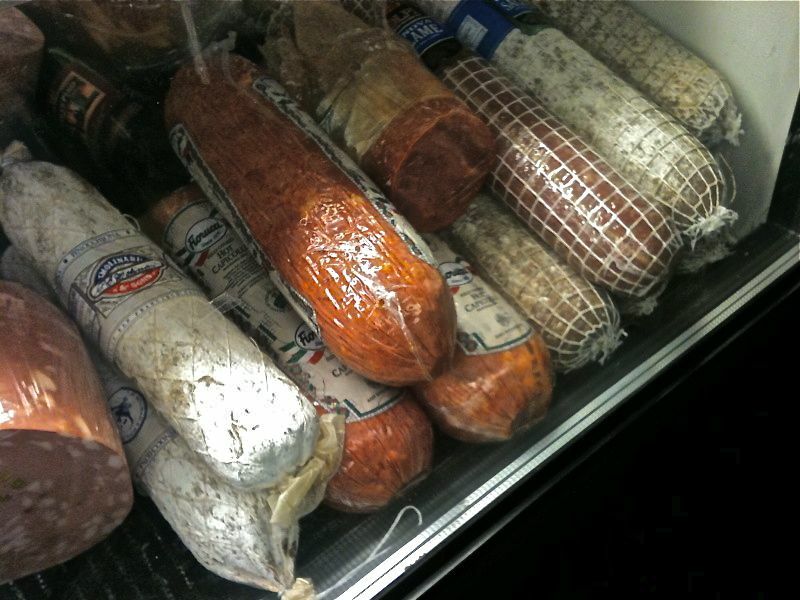 You can also purchase their cured meats a la carte. In addition to meats and cheeses, they also have a small grocery section where you can find pasta, ladyfingers (for tiramisu! ), wine, and much more - all imported. From Italy. To make Italian dishes at home. Italian dishes. Not Americalian dishes. Or Italican dishes - none of those either. On to dinner. At La Cucina di Mamma. Or Bella Napoli. It's all the same. Even though it's not. The Stallion and I are either at Bella Napoli on our own, enjoying a wonderfully romantic dinner together - or we're at Bella Napoli with 23 other Italian Stallions, Mares, Colts, and Fillies (The Stallion's family, duh. His big, loud, wonderful Italian family.) Hope you enjoyed the equine humor there. Nothing but the best for you guys! I strayed from my repertoire of familiar dishes on this particular outing - trying a new dish on their spring menu: pashitani riatta ischitanawana. Okay, so that's not really it's name. I asked Giorgio how to pronounce it, but he was too fast. Then Jake said it nice and slow for me, but I failed to take notes. So I have to resort to calling it the pasta dish with shrimp and arugula. It was light and fresh. And full of flavor. Not one of my favorites - but still solid. 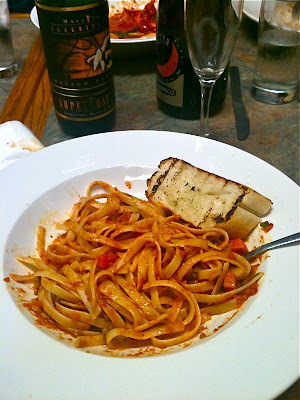 You'll see this blog post is actually a ranking of dishes - working its way up to my top pick! Wahoo! Their pizza - perfection. 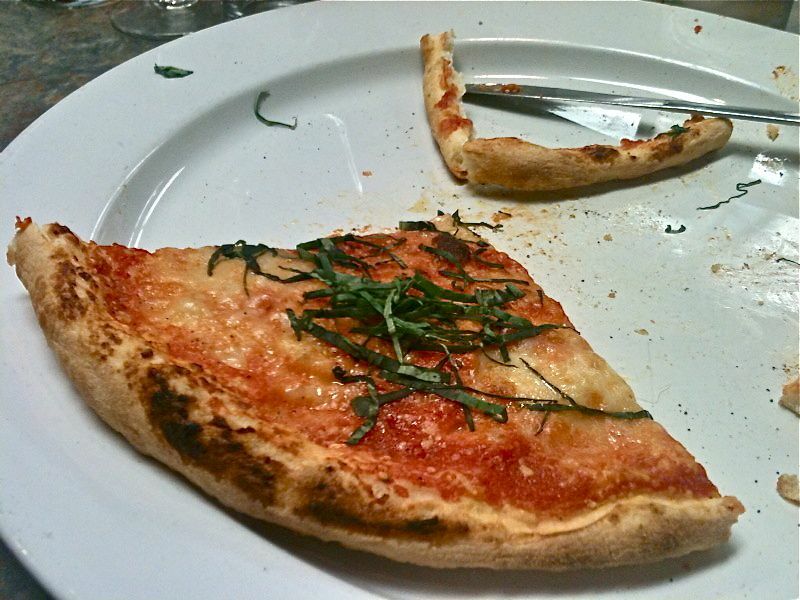 This is the margherita. A little Italian Filly ordered this one and ate the whole thing! Oh, my my my. Lasange bolognese. Fun fact: authentic Italian lasagna pasta sheets do not have the frilly edges we're accustomed to. They're flat. Flat, flat flat. Just a sheet of pasta. And most are cut to the size/shape of their serving dish. Jake's are fat rectangles. This is a must-have dish if you go. And, while you're there, you can also pick up some lasanga sheets that are the real deal. One of my old stand-bys - Tagliatella Bolognese. It's simple. Pasta with a traditional bolognese that has a touch of cream. Cream makes everything yummy. And this dish is no exception. And especially this dish. Oh. My. Word. We tried this for the first time just one visit prior to this one. Why on Earth did it take us so long to try this??? Probably because a menu item of sauce swirled on a plate didn't sound enticing. Oh wait - this isn't the way it came out! (Gotcha, right?) 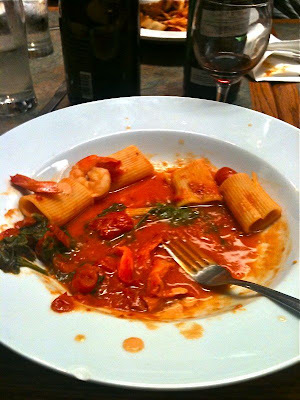 It was full of rigatoni and a tomato cream sauce with sambuca that is to die for. I can no longer live without Rigatoni alla Bella Napoli. Order it. Devour it. Repeat. 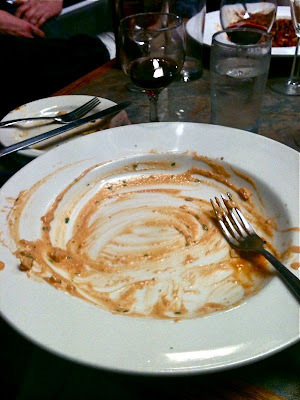 We licked this plate clean. And for dessert? 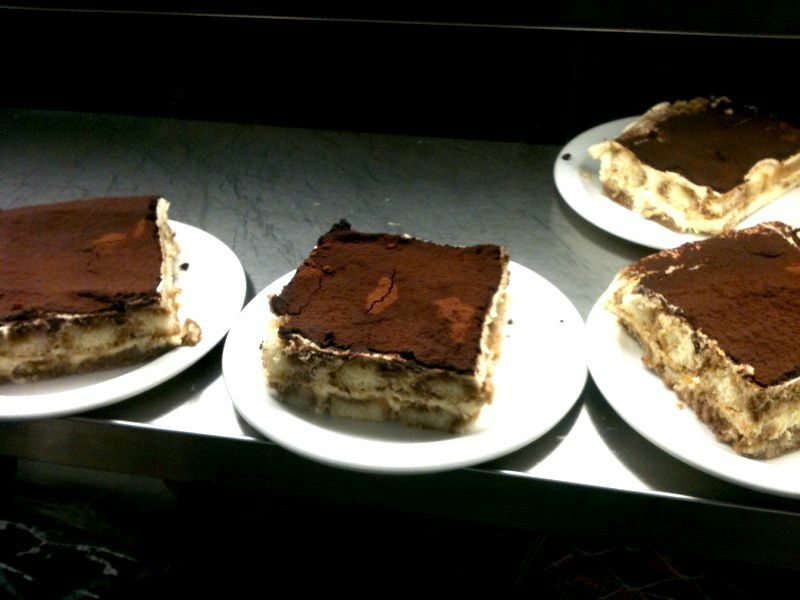 Nothing but Tiramisu. This is Jake's mom's recipe, and there is none better. You must finish your meal with this, and an Affogato. What's that you might ask? Like everything else - it's so ridiculously simple. But it packs a big punch. It's nothing more than espresso poured over vanilla gelato. Perfection. Eggplant Parmesan. Order it. Devour it. Repeat. It's not just for vegetarians! 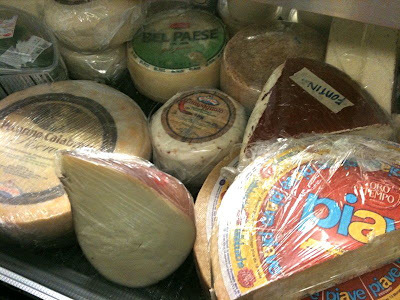 Misto Italiano. We start our meal off with this antipasti every time. Just trust carlyklock. Prosecco. It's the perfect sparkling wine. I'll never stray. omg. are we the same person? love this place. didn't know the owner's name... but when i was there for lunch a few saturdays ago he sat with us for most of the meal helping me plan my honeymoon to italy! what? who does that? plus, of course, food and wine are fab. love love love it! Bella is my favorite place too.. We've had many important events (our rehearsal dinner, graduation parties, baby shower, baptism luncheon) as well as many low key lunches and dinners there. Join us on May 26th for a wine tasting fundraiser for the American Cancer Society at Bella Napoli- wine tasting, appetizers, all for a good cause. RSVP to michaelarusco@hotmail.com $20 per person suggested donation... spread the word!